You are here: Home > Entertainment > Girls’ Night Oot! 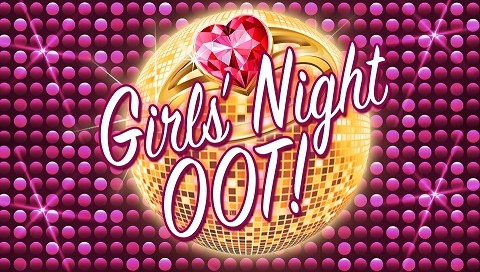 Girls’ Night Oot is coming to Motherwell Concert Hall as part of its 2018 Scottish tour, presented by Insideout Theatre Productions Ltd. The show has previously played Motherwell Theatre to huge success, now it’s coming to Motherwell Concert Hall, bringing the hilarious banter, cheeky surprises and stunning singing to Motherwell audiences once again. The show tells the story of a group of best friends, one of whom is getting married, and her pals are throwing her a hen night to remember! The events that unfold are hilarious, crazy and occasionally a little heart breaking. During all of this, the girls belt out a whole host of your favourite songs from the 60s, 70s, 80s, 90s, 00s and today. The cast features four hugely popular and amazing performers, loved by audiences across the country: Donna Hazelton (Chicago), Lauren Ellis-Steele (Wicked), Natalie Tulloch (The Steamie) and Ali Rona Cleland (Legally Blonde). Written and Directed by Paul Harper-Swan. Musical Directed by Alison Rona Cleland.